Food & Trees for Africa (FTFA) is a leading Section 21 Non-Profit Organisation that addresses food security, environmental sustainability, and greening. We have a large and diverse programme portfolio which you can explore here. Our ethos is one of efficiency, transparency, and accountability. We run our non-profit like a business / social enterprise and continue to innovate in the space. This approach has led to us being one of the best social development organisations on the continent. After nearly thirty years of experience, we understand what it takes to achieve real, long-term sustainability and want to make a positive difference to the lives of all South Africans. To contribute to food security, greening, natural resource management, and sustainable business. Education and training of learners, teachers, and communities of Southern Africa. Promotion of environmental activities within all sectors of society. Promotion of sustainable economic development and enhanced livelihoods. Building capacity and skills within agriculture, urban forestry, and climate change adaptation. Food security — particularly in the context of global climate change — is one of the most important issues of our time. The World Food Summit of 1996 defined food security as existing when all people, at all times, have physical, social, and economic access to sufficient, safe, and nutritious food to meet the dietary needs for a productive and healthy life. A lack of food security, within any tier of our society, will lead to instability and impact everyone. Therefore, it is a collective act of social justice that we work towards making food insecurity a thing of the past. At Food & Trees for Africa, we take a broad view of food security which includes both income and non-income producing agriculture, small and large scale projects, as well as additional elements of the water-energy-food security nexus. We practice bio-intensive agriculture (in its many forms) including agro-ecology, permaculture, conservation and rehabilitation agriculture, and natural farming. This doesn’t mean we farm without science or practicality — in fact, quite the opposite. We just take a longer-term view on soil health, improving the energy of a system, and maximising its productivity with bio-inputs. It’s all the rage these days — but we’ve been doing it since the 90s. Trees give us two of the most important elements for life on our planet: oxygen and food. They also provide us with habitat and shade, support biodiversity, and clean our air, as well as supplying us with timber, fire wood, medicines, and so much more. Whether benefits are environmental, social, commercial, or even spiritual, looking after our forests and trees is very important. Unfortunately, mankind has not prioritised the protection of forests over the last few centuries and, if we’re going to restore this balance, we need to plant trees — and lots of them. When it comes to planting trees within any development context, Food & Trees for Africa has been doing it since 1990. 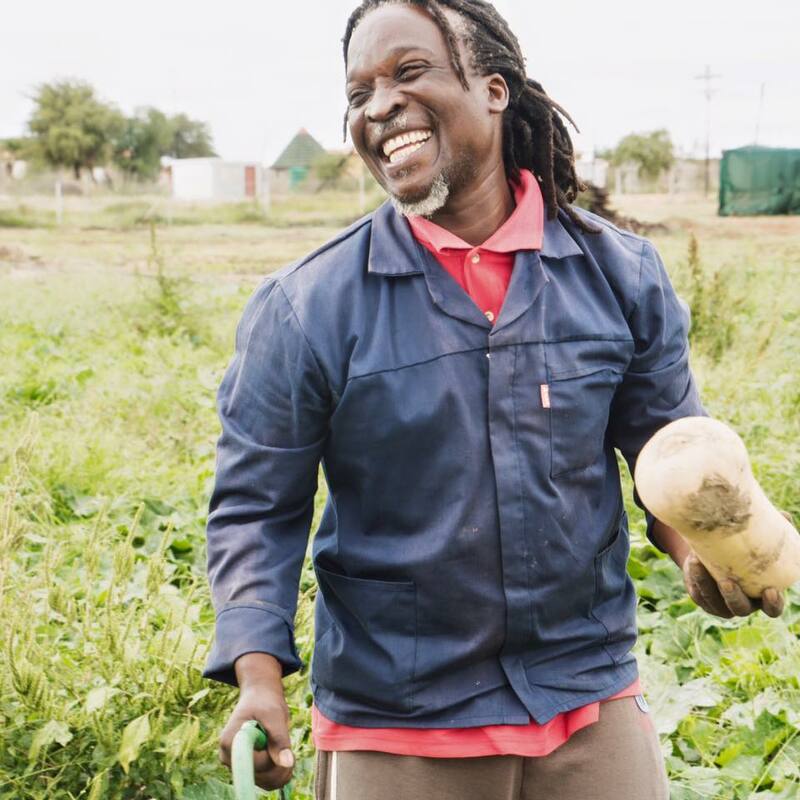 Our methodologies focus on sustainability and tree survival and have impacted a wide range of beneficiaries from communities and homes to farmers. FTFA has two Verified Carbon Standard (VCS) registered carbon programmes as well as a carbon enterprise which is supported through Enterprise Supplier Development (ESD) budgets. We believe we can restore what was once one of our greatest treasures and you can help us make a difference. The African Climate Reality Project (ACRP) is the African chapter of the US-based Climate Reality Project. It was established to support African Climate Reality Leaders in their efforts to combat climate change in Africa, a continent disproportionately affected by this global crisis. In 2014, Al Gore (former US Vice President and Nobel Laureate) trained hundreds of Africans from across the continent at The Climate Reality Project‘s Leadership Corps training in South Africa. To date, over 650 Africans have attended one of these trainings and now volunteer as Climate Reality Leaders in over thirty countries in Africa.These leaders come from government, NGOs, youth, media, and science.